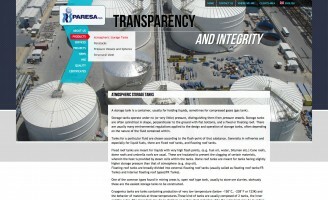 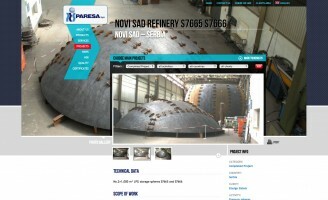 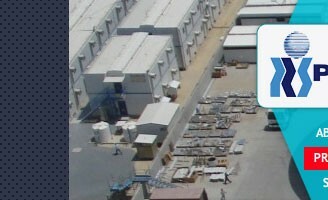 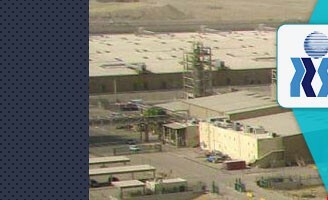 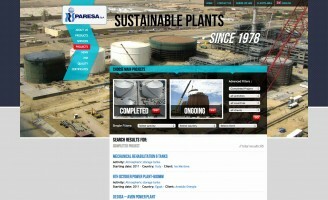 I was asked by YACME to redesign the new site of PARESA S.p.A.
PARESA’s core business are the EPC Contracts for atmospheric storage tanks (fixed and floating roof types), cryogenic storage tanks, pressure spheres, mounded pressure vessels, penstocks, gasholders, structural steel-works as well as the erection of piping and plants. 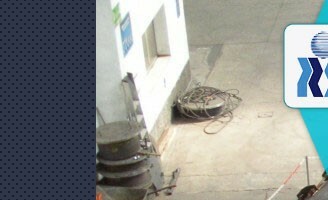 Visual by Tippy and me. 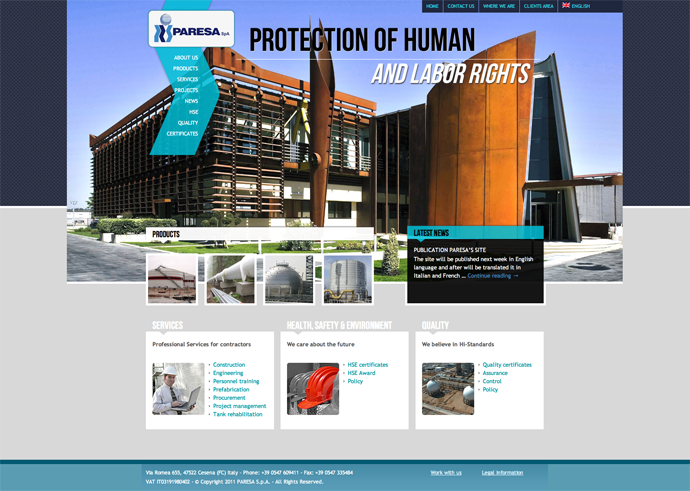 Development and project management (Wordpress , custom php and front-end): me.